In 1999, British technologist Kevin Ashton came up with the term Internet of Things (IoT) to define a network that not only connects people, but also the objects around them. At the time, most people thought this was the stuff of Science-Fiction films. Today, the Internet of Things – a vast network of smart objects which work together in collecting and analyzing data and autonomously performing actions – is becoming a reality, thanks to the machine-to-machine communication (M2M) technology. In many ways, smart objects have been employed for decades, such as electronic wristwatches, car alarms and coordinated traffic lights. What the IoT brings is a greater prevalence of smart objects and a higher connectivity between them. The installed base of Internet of Things connected devices and things is forecast to reach a figure between 6.6 billion and 30 billion by 2020 depending on the source and definition of what can be considered an IoT device/thing. 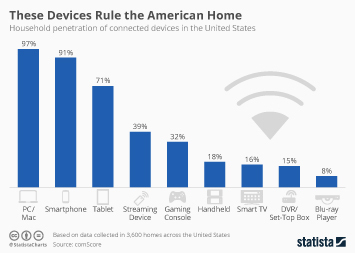 The consumer segment will have the greatest share of the Internet of Things installed base. There are many verticals of adoption for the IoT, from wearable devices, to cars, smart homes, cities and industrial equipment. The smart home / automated home market, another IoT vertical, is forecast to grow significantly over the next few years, as the global smart home market is forecast to grow to more than 50 billion U.S. dollars. The smart home automation market is projected to reach more than 20 billion U.S. dollars in revenue by that time. The use of IoT extends to all types of buildings, as well as to the automotive industry, creating not only smart homes, but also smart cars and offices, and eventually smart cities.